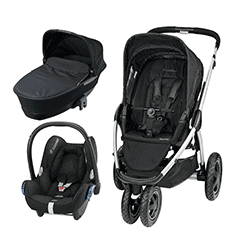 Simply turn your buzz 3 into a 4 wheeled stroller with the front wheel unit. Simply attaches to the front axle of your stroller to give you the option of swivel front wheels. Attaches to the front axle.